← Want to buy a house? Just some quick pictures of Kalena. Bored of being in the pool. 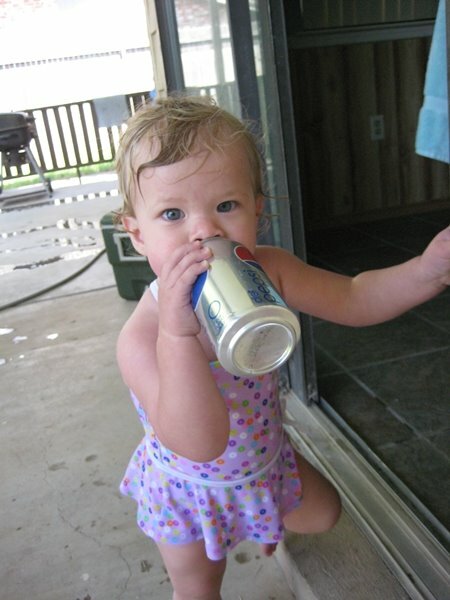 Loving a diet pepsi. I’m pretty sure that can is empty, but I didn’t take the picture so I couldn’t tell you for sure. 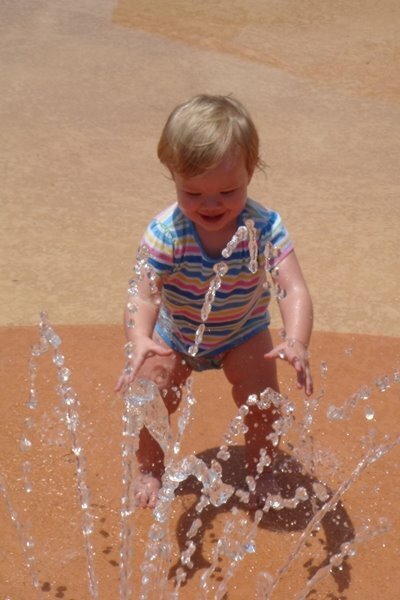 Having fun at the splash park. Because I’m pregnant and therefore required to forget at least one thing every day, we made it all the way there before I realized her swimsuit was still at home. Swim diapers? Yes. Sunscreen? Of course. Snacks? Plenty. Swimsuit? Hanging on the laundry room door where I saw it before we left and thought, I should probably put that in my bag so I don’t forget it. Not so much with the follow through. Looking for some trouble to get into. 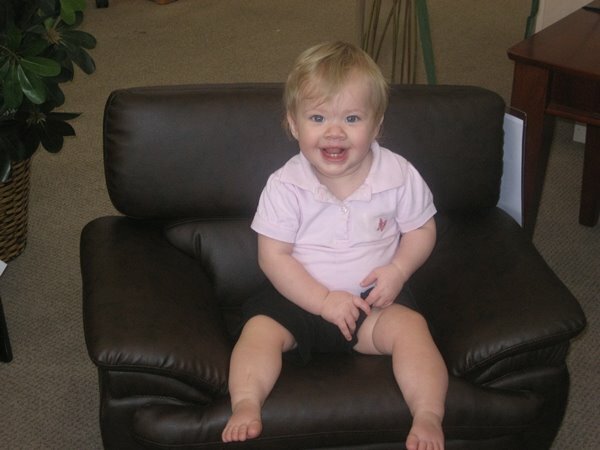 When my parents came down for her birthday in May we went furniture shopping one day and one of the stores had these adorable child sized leather chairs. SO CUTE. 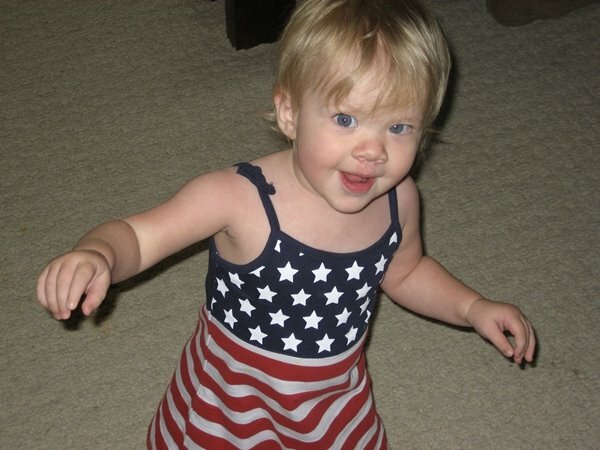 I love the picture of her in the red white and blue outfit.Miss you. 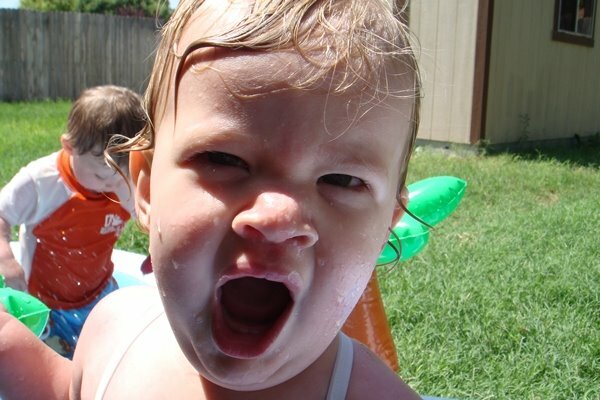 Sunscreen is way more important than a swimsuit, so no worries! I forget things all the time and I don't even have PG card to play right now! I miss her already. I LOVE that leather chair! Is she trying to show off her thigh rolls in that last photo? Because you already had me at chubby cheeks! Love all the big smiles and the one big yawn! Looks like you guys are having fun!